Ever wondered why your eBay solar panel doesn’t produce anywhere near what it should do? Maybe you’ve been scammed like a heap of other people, by false advertising sellers on eBay. I’m in the market for another 12V solar panel, for the top of our Dmax’s Canopy. I’ve bought a couple over the years, and each time I’m in awe of how much cheaper they’ve become. However, what I’ve discovered just recently, is a lot of 12V solar panels being sold on eBay are falsely advertised. Is your eBay solar panel performing as it should? This false advertising purely relates to panel sizes, and claiming that a panel is rated to a higher wattage than what it actually is. The panel I’m chasing is 200W, and I know that a 200W panel should be 1580mm long, by 808mm wide. Now, I jump on eBay, and I flick through the results, and open a few different options up. If you check the dimensions, some of the panels being sold as 200W are only 1430 x 680mm. On the surface, that might seem ok, but dig a bit deeper. I compare the details, and they are exactly the same, except for the sizes. 18V max power voltage, 11.1A max power current, cell efficiency of 17%, mono panels and standard test conditions. How is it possible for a panel at 1.27m2 to put out the same wattage as one at 0.9724m2? It’s not, and these eBay sellers are breaking the law by false advertising, and selling you a product that isn’t what you think it is. It gets even worse – there are flexible ‘200W’ panels on eBay at 1070mm x 810mm (0.86m2). That’s a 47% size difference, with virtually identical specs. Now, I understand there may be *some* variance in cell efficiency, and where the panels start compared to their borders, but not 47%. These eBay sellers are being totally unethical, and people are buying them! Is your panel too small for the wattage advertised? If you want to know that the panel you are looking at is actually the wattage advertised, do the maths above, or jump on a reputable sellers website (like Redarc, Projecta, Bosch or Australian Direct) and compare sizes. 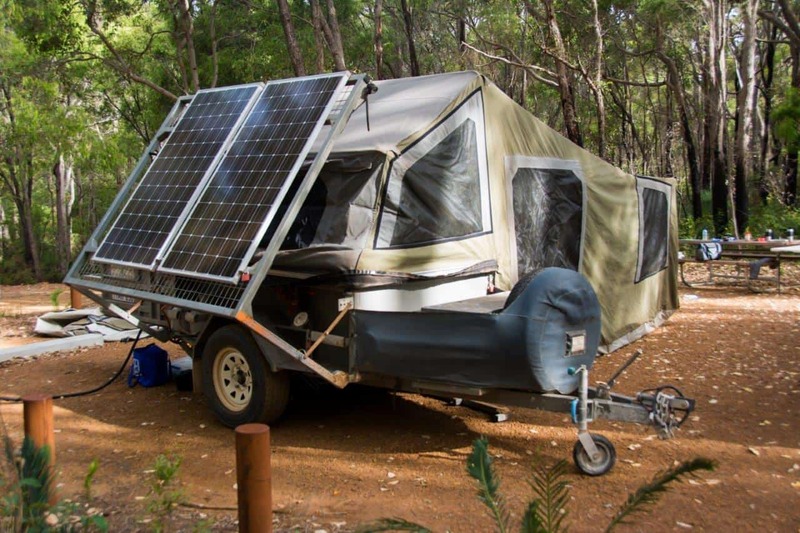 The panels on our camper trailer came from Low Energy Developments, and we’ve been very happy with them so far. 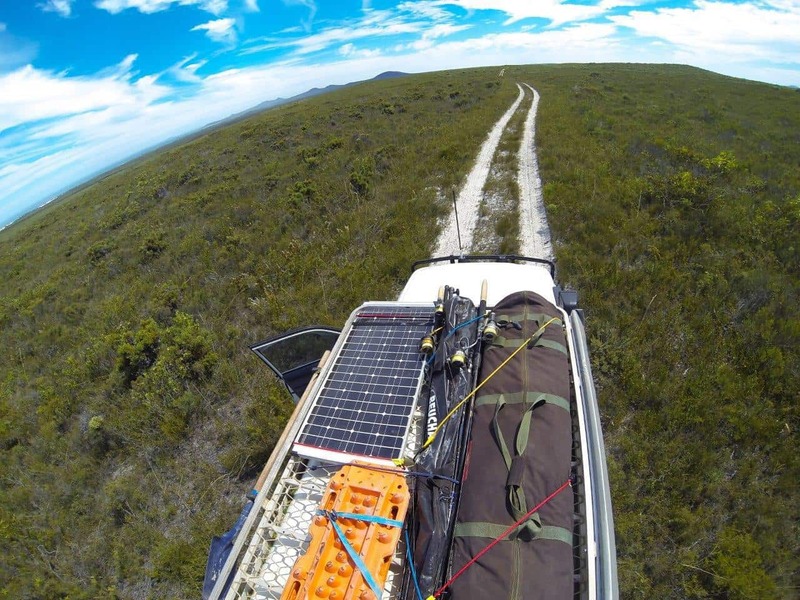 You can read more about the new panels, batteries and the overall electrical upgrade here – Camper Trailer Electrical Upgrade. Unfortunately, the false advertising doesn’t stop there. The next most common false advertising for 12V solar panels relates to the type of regulator used, and advertised. These are normally known as PWM and MPPT. The latter is generally considered the premium style, and the manufacturing costs dictate there should be a price difference. If you are getting a panel with an ‘MPPT’ regulator for an amazing price, chances are its probably a PWM in disguise. Is your regulator really a MPPT? People have been buying solar panels off eBay for many, many years now. Many of the cheap ones are not going to be comparable in quality to the high end units, but they have proven themselves to be reasonable and great value for money. However, its buyer beware; do your due dilligence before handing your cash over to some scumbag on the other side of the world who thinks its ok to mislead their customers. 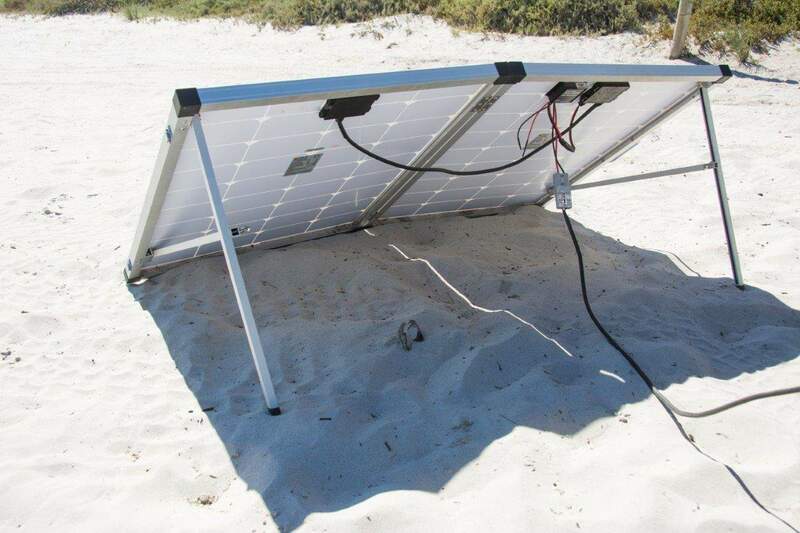 Before you buy 12V solar panels, have a think about whether fixed or portable ones are better. 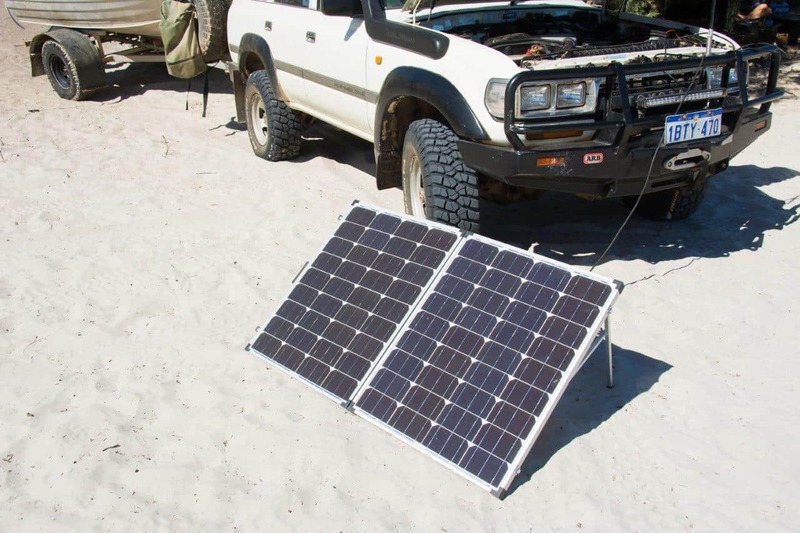 I’ve written a great guide that you can check out – Fixed vs Portable 12V Solar Panels; what’s better? Lastly, there are some pretty sweet solar blankets on the market today. Some are incredibly expensive, but they are portable, very light weight and easy to store. If you are considering getting one, have a read of this – Solar panels vs Solar Blankets. Excellent article – I’ll be saving his one. Thank you. One further ‘picky’comment, you spelled the abbreviation for mathematics wrong – its ‘maths, not math’. We’re still in Australia aren’t we?! Cheers Marcus. Will fix that! Like everything in life, there are different qualities. Solar panels can have different efficiencies depending on what they are made of, and how they are made. They naturally lose efficiency over time, but the cell efficiency quoted when new is how well they convert light into power. Hey mate, where did you get the info from regarding the ratios of metres squared to wattage? From memory Redarc and a few other reputable suppliers. Any reason you are asking? Hey mate, thanks for your reply. I’m thinking about using that formula to justify my bid to get my money back and/or get an extra panel from a supplier on eBay based on the false advertising. I just wanted to ba able to cite the information from somewhere a bit more “official” rather than a from website blog that I read. Hope you understand what I mean! I do completely understand what you mean. It’s pretty straight forward – ask them how one supplier sells a panel thats substantially larger with identical specifications. It doesn’t compute – you can’t physically reduce the size of a panel without increasing the efficiency. Cant go wrong with the basic math to prove its false advertised. However from my observations you still loose around 15-20% panel wattage in many places depending on season. For example my 100watt by area panel only gave 80watts no matter what i did in spring victoria. Yep, it needs very specific conditions. Received a replacement solar panel from a supplier and did not add up. Measured with my watt meter and max was 82w from a 160w panel. Wrote and complained and got the normal run around. Then came across your article and quoted them the numbers and immediately they offered a return. Currently travelling so not possible. However I then started looking at the eBay panels and cannot believe that almost every one is wrong? I checked with shop front suppliers and their numbers added up. Back to eBay and all are wrong. It is unbelievable. Surely we should be able to report them or something…many, many people are being duped. Good to hear they offered you a refund. Most don’t. Most on eBay are false advertised. I don’t know what more I can do, asides from sharing the article around. The calculations are solid, unless there is a major improvement in efficiency. PS – Check out Low Energy Developments. You can buy from them off eBay and they are the correct size panels. What I have seen all cheapo ebay panels are inflated & false advertised. Nothing you can do, there are no rules against it. Many things are false advertised like LED lifespan hours 50,000 etc, complete utter BS & they can getaway with it as there are no standards. The cheap panels seem to have very dodgy solar reg/controllers too. Just better off getting a victron mppt & wire it up yourself. ITs the same with there generators, a 2000watt one can only give about half that. I also bought a 3hp pump that only draws 1200w go figure thats about 1.5hp! Perhaps it is time to start a “Lemon suppliers of eBay” and name them there. As long as the facts are correct and you can prove that you have tried all the avenues of redress. Have you tried reporting the eBay shop to eBay. Fraud is fraud. You can (and people do) spend hours arguing with the sellers. They will just say that their panel is more efficient, and that you only get their current ratings under certain conditions. These days, you will struggle to find panels on eBay that are not false advertised. It really is terrible. Of course, this excludes the quality, well known (and expensive) brands. It must be noted that a PWM charge controller will only get you about 60% of the panels power as compared to an MPPT. In practice, your typical 250W panel (Nominal voltage = 12V) in full sun will only deliver 11A @ 13.8V (ie. about 150W) with a PWM charge controller after normal losses due to temperature (Google “I-V curves” for solar panels). To get the remaining 40%, you have to get a MPPT controllers which usually costs more that 40% of a 250W panel. MPPT controllers however are usually only used on larger systems for this reason & where you have a miss match of panel voltage to power (ie. 24-35V panels charging 12V batteries or panels connected in series [ie. up to 600V] to maintain minimal current & power losses). Cheers for your comment Siam. Ebay won’t help a small buyer when they get lots of sales /fees from a corrupt/dodgy seller. They would be shooting themselves in the foot. Ebay can’t be considered ethical in these cases. EG. I bought a cheap 2kw inverter generator. It comes with 12months warranty. After 4 months there was a problem. Ebay would not let my original line of communication continue so the seller could not easily follow our past communication trail. Even though I use Ebay I hate Ebay. I try to use Aliexpress as much a possible because of Ebay practice. It would be good if others could follow to punish Ebay. It is the only thing they will understand. Sorry to hear you’ve had a bad run. It is a right pain in the backside! Just for the record the generator is a Gentrax 2kw. At maximum load it blows so much smoke that it chokes and stops. Their fix is to only put half the oil in. Admittedly the low oil alert if it works does not shut down the generator. The problem seems to be the crankcase ventilation valve does not work. A new one lasted five minutes. Ebay are no help. I thought oil splashing around the sump lubricates the cylinder walls. With half the oil this process is going to be less then optimal. Interesting article, prompted me to do a bit of further research and maths. Which suggests a lot of the 200W+ panels on ebay would have to be in the vicinity of 25% efficiency. Is there anything else we should be looking out for? Sounds like you’ve got it nailed mate. There are very few 200W panels on eBay that are actually true. The Low Energy Developments buck this trend, and I’ve got 3 that I’m very pleased with.